The debut novelist on writing historical fiction and fantasy with Our Animal Hearts. 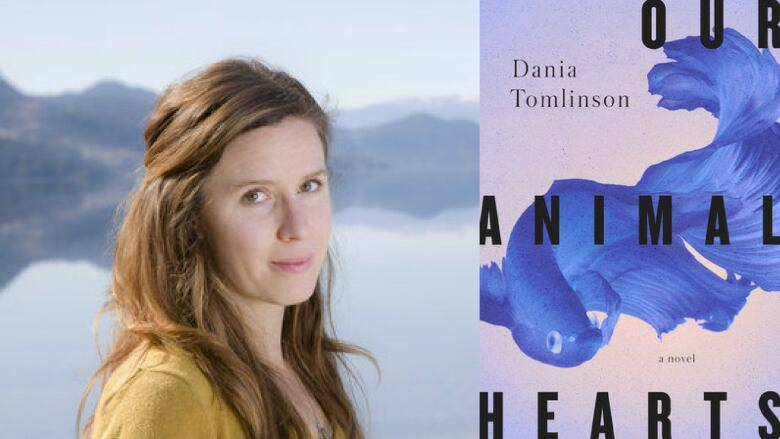 Dania Tomlinson's debut novel Our Animal Hearts blends historical fiction with fantasy as it follows a young girl named Iris who lives with her working-class mother and bohemian father in a small B.C. town during the First World War. When Iris encounters otherworldly beasts in her hometown, she begins to untangle the truth behind her deteriorating mother's dark fairy tales. Tomlinson talks to The Next Chapter host Shelagh Rogers about what inspired Our Animal Hearts. "The main character Iris Sparks is influenced by her mother's dark fairy tales. She also is influenced by the stories that other members of the community tell her. The figures from these myths rear their heads in the lake and the surrounding forest. Iris begins to see these myths play out and manifest." "One thing that was really interesting to me was how common the myth of a lake monster is across different cultures. When people hear that there's a monster in the lake, there are stories they bring with them from their community and project that onto the lake. There's Welsh, Ukrainian, Indigenous, Japanese characters on this book. They're all very distinct and they bring with them distinct stories." "I grew in the Okanagan region. I came here when I was two or three. I would swim in the lake as a child. I have nostalgia for that time and for that place. In a lot of ways, this novel is my love letter to this region and to this landscape." Dania Tomlinson's comments have been edited for length and clarity.